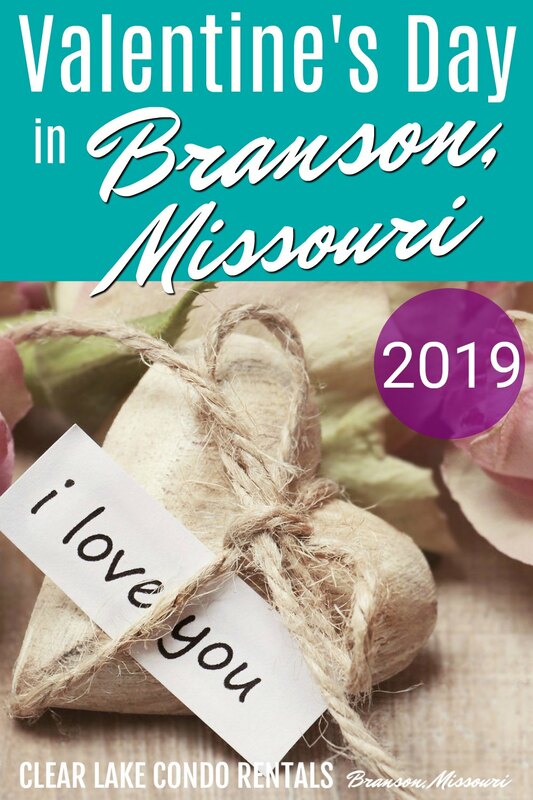 Branson Valentine's Day 2019 is worth travelling for! Branson in February may sound boring, but guess what? It’s one of the best times of year to come and enjoy many of the Branson attractions without all the crowds. If you hate all the noise and hustle, then you might just like the slower pace of Branson in winter. No, not all the shows in Branson are down for the winter. Some of the best open up in late January or early February or have a special Valentine’s Day schedule. Many of the shows at the Grand Country Resort will be in starting in late January. Grand Jubilee will have shows every night at 7:30pm over the entire Valentine’s week (except Sunday). Comedy Jamboree is scheduled at 3pm. Amazing Pets has the 10am slot on Saturday, Sunday, and Monday. The Haygoods have one show at 7:30pm on Saturday, February 16. They are at the Clay Cooper Theater. It looks like you could go to one show each night for a spectacular Valentine’s weekend! Valentine’s Day is nothing without a special dinner to celebrate your favorite person. The Keeter Center Valentine’s Day Dinner, at College of the Ozarks, promises to be unforgettable. Imagine a candle-lit table, four-course meal, and dancing with live music, all done in the elegant style that is the Keeter Center. You can’t get much more romantic than that! Reservations required. Level 2 Steakhouse at The Landing is also having a special Valentine's dinner. Lobster Tail and Filet Mignon -- can you say YUM?? More details and reservations info here . And what is Valentine’s Day without shopping? Either take her out to pick what she wants, or go out to find that special something to give to her at dinner. Most Branson stores are open year-round. Our favorite spot to shop is Tanger Outlet Mall – prices there can’t be beat. Or, if you want more of an “experience,” head down to The Branson Landing where you can shop, eat, and watch the hourly fountain shows at the amphitheater. And last but not least as a must for Valentine’s Day is a soak in the hot tub, am I right? 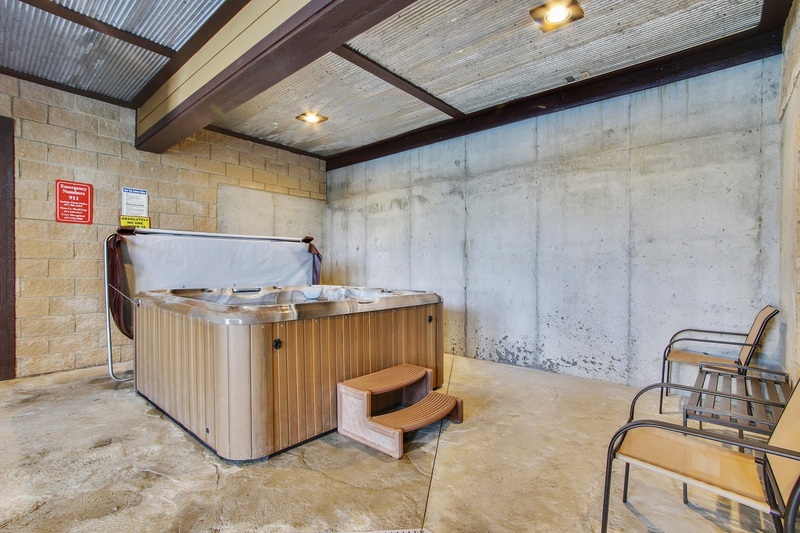 If you stay with us here at Clear Lake Condo Rentals , our large indoor hot tub in the Clubhouse is the perfect place to relax. Or take a dip in our indoor pool. Either way, you can’t find these amenities many other places in Branson. A few of our condos have Jacuzzi tubs – even better! Yes, it’s slower in Branson in February. There is not nearly as much going on as there is during the summer – but there is still plenty to keep you busy. And in between you can go back to your condo and RELAX in the quiet. Isn’t that what “getting away” should be all about?